Hello and welcome to G Beauty! My name is Gweni and I will be your writer today. I am a recent graduate from the University of Birmingham, having studied Law with French Law. I'm a full time makeup lover and this blog has become my creative outlet. 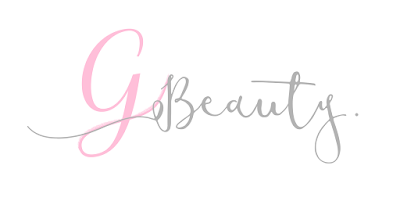 G Beauty is a blog primarily focusing in makeup/beauty reviews but also delving into some other lifestyle pieces, such as travel and Trichotillomania. Makeup has quickly turned into a passion of mine, I love finding new products and testing them out, especially a good lipstick! I'm really enjoying creating content for G Beauty and I am really looking forward to seeing where it will go. Otherwise, you're welcome to get in touch with me on any of my social media accounts. Your best bet is Twitter or Instagram, come follow me at @g_beauty_blog! Or click the links below. As my blog has grown, a few brands have been in touch with me to test out their products. As a beauty blogger, I'm obviously very interested in trying new things and sharing them with the world. Everything that has been sent to me will be made plainly obvious in the blogpost, but will also be disclosed at the bottom of the post. I'm not trying to pull the wool over anyones eyes - all opinions are my own. If I don't like a gifted product, I simply just won't write about it. I have also started using affiliate links as well, for example the Shopstyle widgets. I earn a couple of pennies per click, nothing huge but always worth disclosing! Thank you for reading and hope you enjoy my blog!